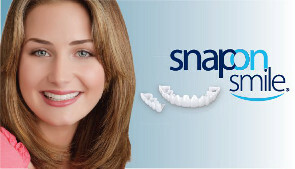 A Snap-On Smile can conceal stained, spaced, misaligned or missing teeth. It’s a quick and inexpensive cosmetic smile enhancement! 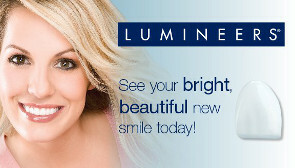 LUMINEERS porcelain veneers are the state-of-the-art, pain-free cosmetic dental option for an awesome, “Hollywood” smile makeover! View Dr. Jerrold Goldsmith’s library of over 70 of his patients’ before & after photos which displays his mastery of cosmetic dentistry! 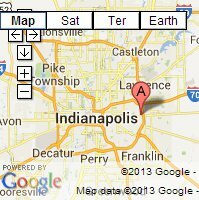 Are you looking for an extremely caring and gentle dentist in Indianapolis for you and your family? Look no further. From the moment you enter our dental office, you will be greeted by our warm and friendly staff members as they welcome you to meet your new dentist in Indianapolis. Dr. Jerrold Goldsmith, DDS, FAGD treats all of our patients like they are truly part of our family! With over 25 years of experience, Dr. Goldsmith practices general and cosmetic dentistry, to give you a happy, healthy, and youthful smile for a lifetime. Born and raised here in Indianapolis, Dr. Goldsmith earned his Doctorate at Indiana University…Go Hoosiers! Dr. Goldsmith takes a conservative approach to treating his patients and firmly believes that the less dentistry is truly the best dentistry. He sincerely listens to your concerns and is able to recommend cost effective solutions based on your budget and time frame. Need a second opinion on a dental treatment plan? As a Fellow of the Academy of General Dentistry, Dr. Goldsmith is able to confirm that you are not getting overdiagnosed with costly and unnecessary dental treatment by another office. Sometimes, there is more than one way to treat a dental-related issue, and it’s best for a patient to know all of his/her options before making a final decision and investing hard earned money. Our dental office likes to use painless, non-invasive dental procedures whenever possible. Dr. Goldsmith is extremely passionate about continuing education and learning state-of-the-art dental techniques which utilize cutting-edge technologies. For a more accurate clinical diagnosis, our office uses digital x-rays viewed on a 42” HDTV, Kodak intraoral camera, etc. He is also a member of the prestigious American Academy of Cosmetic Dentistry, American Dental Association, Indiana Dental Association, LUMINEERS Smile Discovery Program, and others. 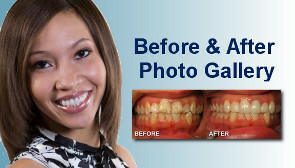 Whether you are looking for that camera ready smile makeover (Click for Before & After Photos) or just a Indianapolis family dentist for your routine hygiene visits, we are proud to serve Hoosiers of all ages.